Pink, tasting a bit like Pepto-Bismol. From England. Still in a metal tube. 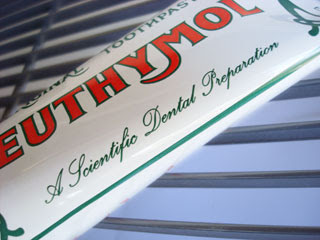 I'll quote from Wikipedia: "The taste of Euthymol has something of surgical spirits about it. 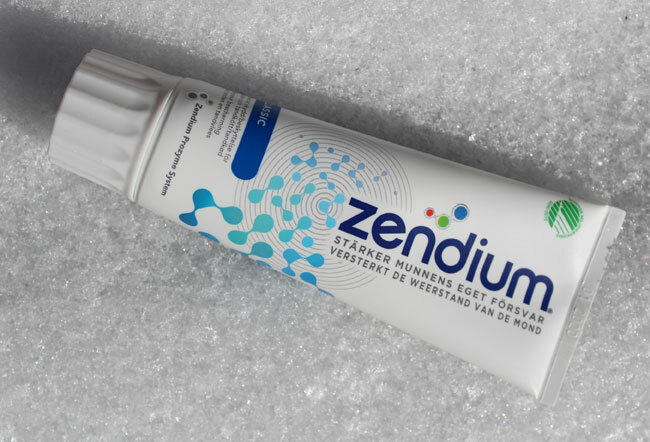 Users unfamiliar with the brand, trying it for the first time are often overwhelmed by the power of the flavour and the sensations of the antiseptic ingredients on the mouth. 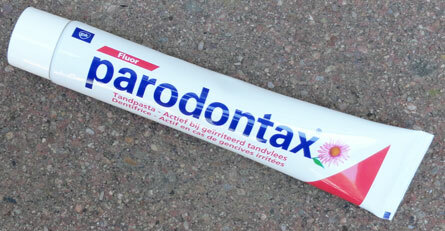 It takes a few uses to adapt to the difference from regular toothpaste." My son Ben (13 years old) likes it. I enjoy the difference of it. It is very strong. 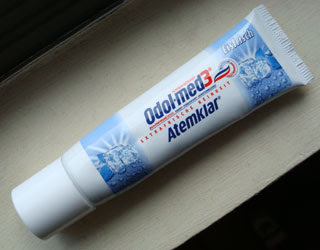 Your mouth will feel alive after that morning brush!